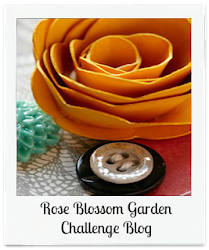 Welcome to the March SOTM Blog Hop! 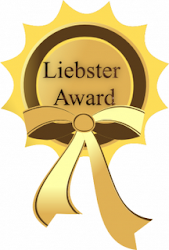 If you just came from Kathy's BLOG, then you are on the right path. This month we have over 70 consultants participating in the hop. Should you get lost along the way, please click here HERE. 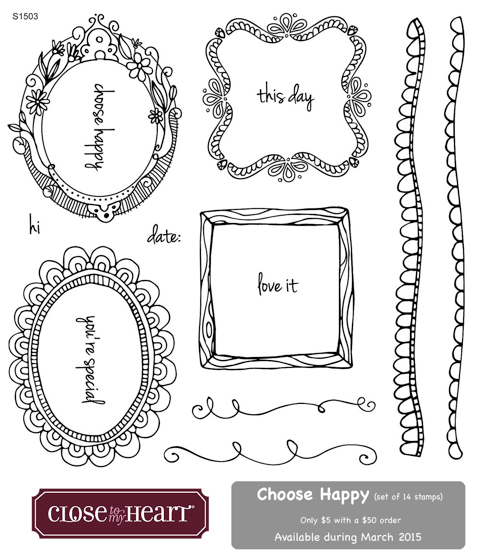 The March SOTM is called 'Choose Happy' and contains 14 pieces. 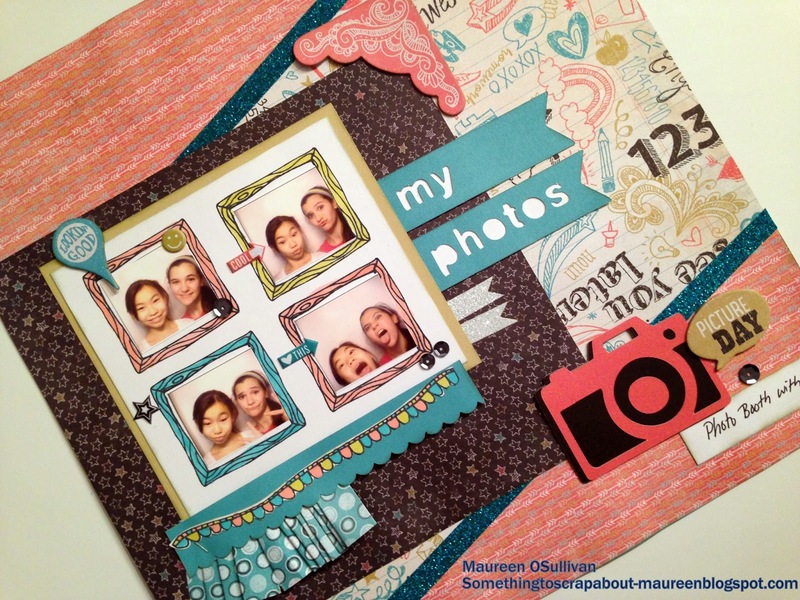 Its a whimsy set-- full of swirls and cute frames. For my project, I choose to create a LO. Once again I had some photo booth pictures. Instead of just scrapping boring strips of pictures I thought 'hey those frames will work!'. And, sure enough they did! Here's a close up of the frames, I used my Shin-Han markers and colored them in Lagoon, Sorbet and Flaxon like colors. I also stamped a border and colored in with the same colors. Using Artbooking Cricut cartridge, I cut out the camera and title. 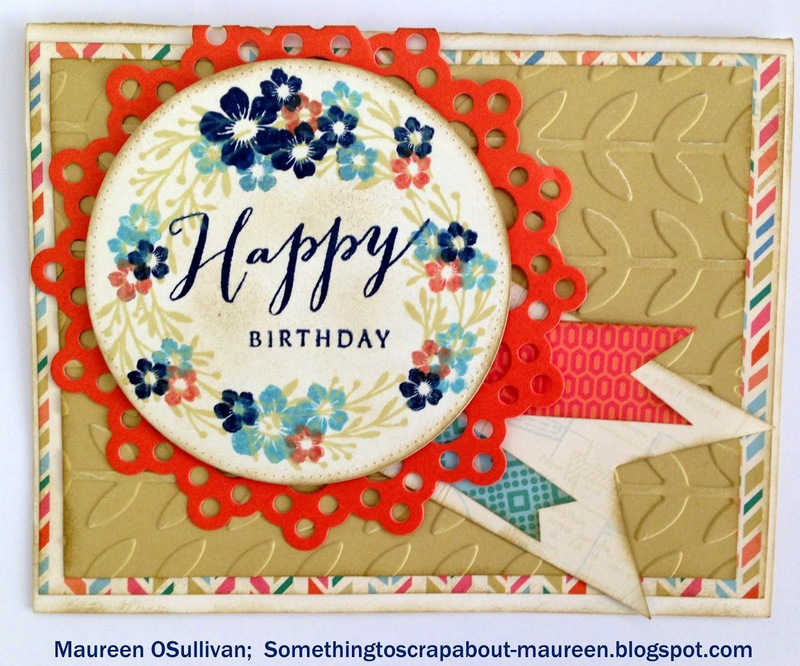 The Chalk-It Up paper and embellishments worked wonderful too! I hoped you liked this LO. Please leave a comment and follow my blog if you'd like. 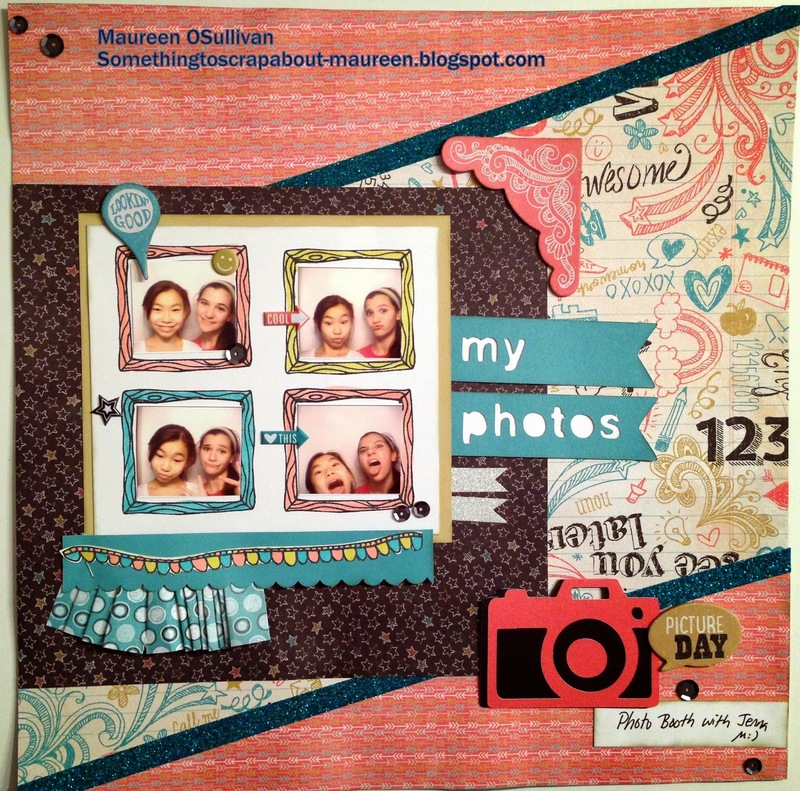 And, if you love this stamp set and don't have a CTMH consultant, then please contact me or visit my Store. Next up is Katy. Please be sure to visit her BLOG-- her work is incredible! Hope you all had a nice weekend. 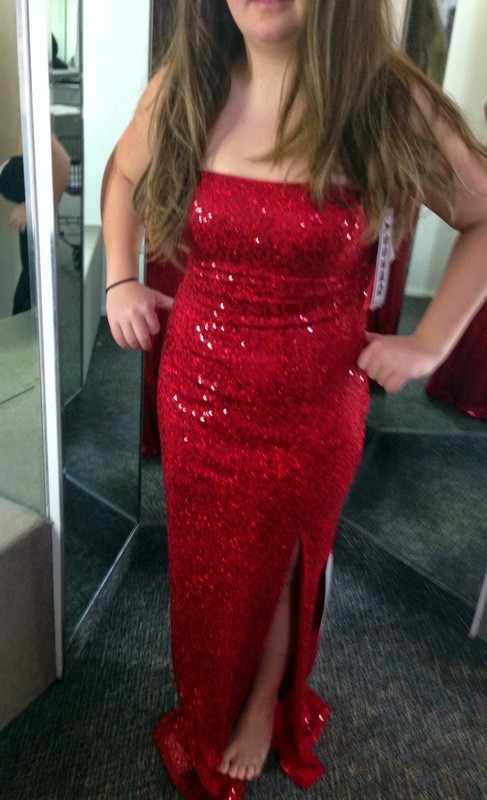 We had a busy weekend between the boat show in Boston and shopping for Junior Prom dresses. Somewhere in between I had a couple of hours to make these 2 cards. 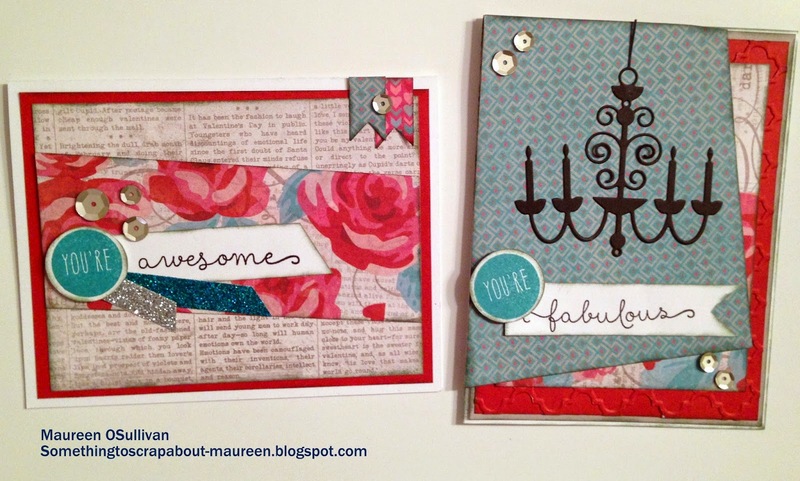 I made the cards with CTMH's "You're the Bomb" set. This set contains 18 pieces and is on the back of the Seasonal catalog. 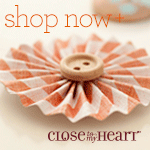 The C-size set is only $13.95, with $3.00 of the proceeds going to Operation Smile. This stamp set is only available until the end of March. So don't loose out on this set!! The next card, I tried to do something more simpler. Again I went a design that had that tilted look. The chandelier was a die from MFT. The paper is CTMH's Heartstrings line. 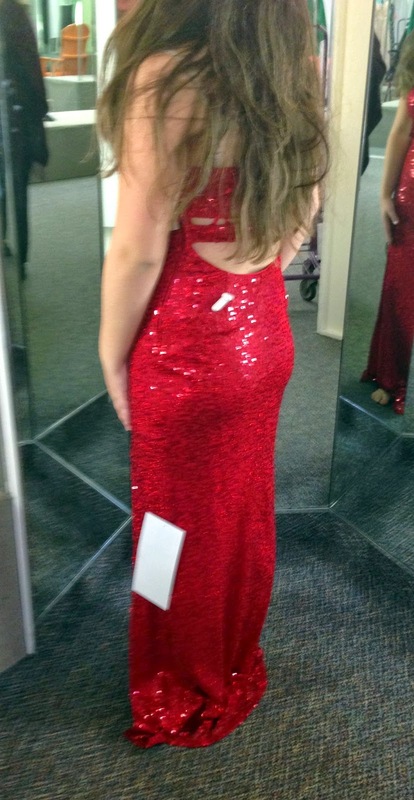 Here is a look at my daughter's dress. The color looks great on her! For some reason she can pull off bold colors. 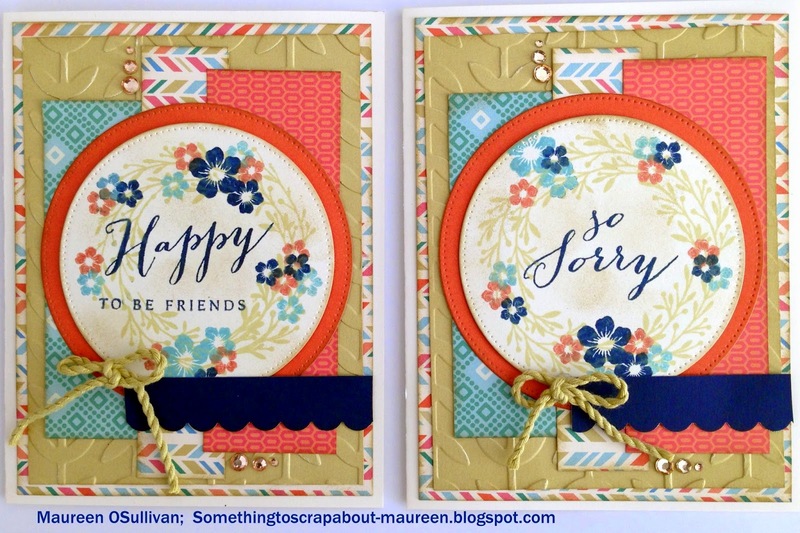 Hi, I'm back with another set of cards from the 'Happy to Be Friends' stamp set. 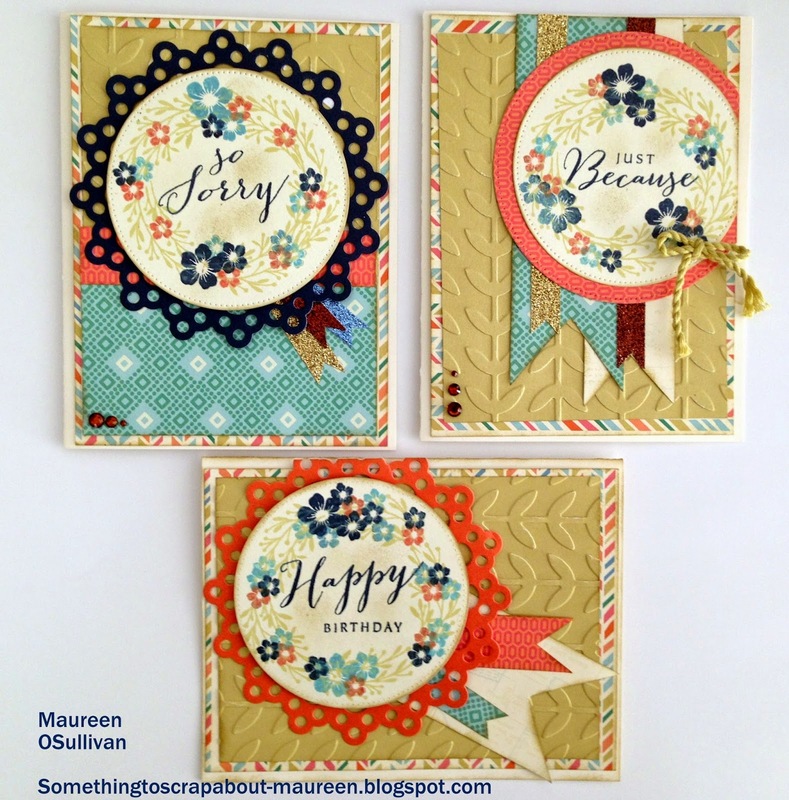 Yesterday I shared 3 cards of the same design, just different sentiments. Today, I have another 3 cards. This time, I did 3 different designs. I still kept the same color scheme-- Hopscotch paper and Denim Blue, Crystal Blue and Sunset inks. Here's a look at the remaining cards. Again, I used the same paper and inks and just changed up the design and sentiment. For the first card, I decided to make a b-day card for my sister. 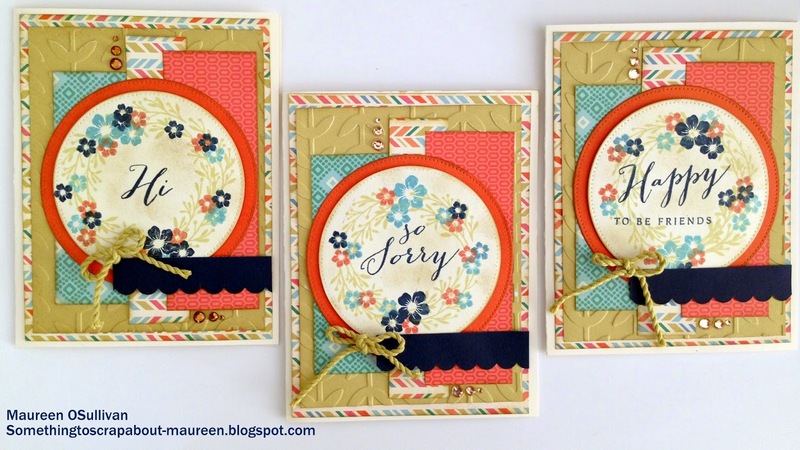 I'll be over 3 weeks late in sending the card, so perhaps I should send her the "So Sorry" card! The orange doily is die from MFT. 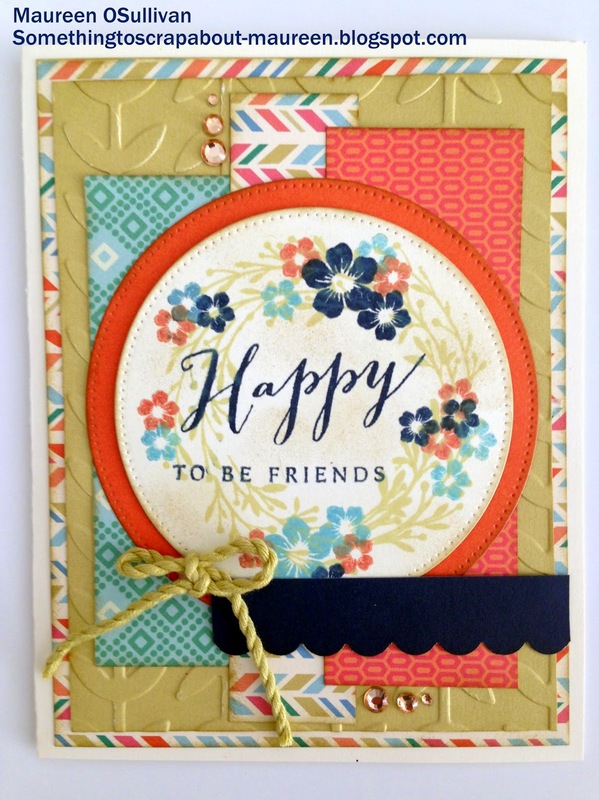 Hi, I had a chance to play with the 'Happy to Be Friends' stamp set over the past week. 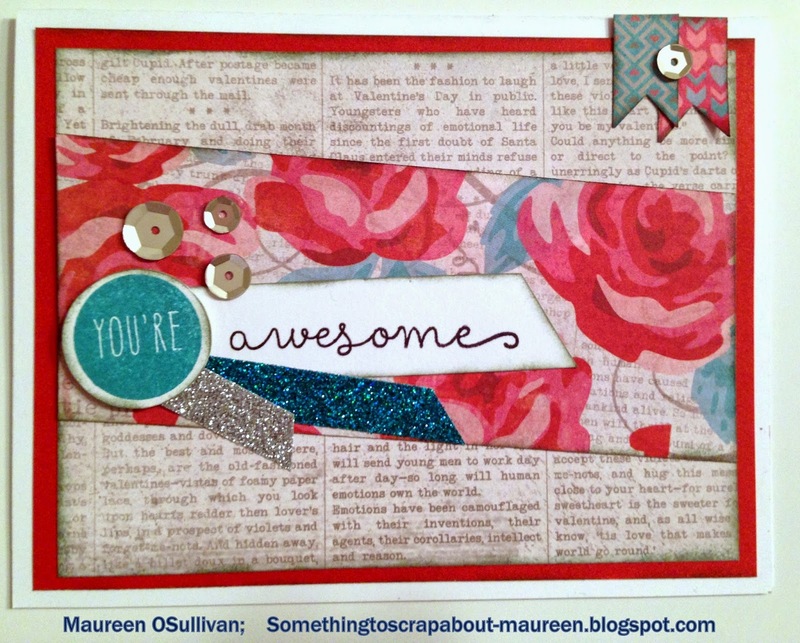 This stamp has so many sentiments that I made 10 cards! For the 10 cards, I used the same inks and Hopscotch paper. I just changed up the designs a little bit and the sentiments. The first card, I chose the 'Happy to be Friends' sentiment. I found a cute sketch on pinterest that worked well. For the inks: Denim Blue, Sunset, Crystal Blue, and Flaxen. Page 17 of the Seasonal catalog shows you how to stamp this beautiful wreath. It is so easy and absolutely stunning. The sentiments also comes with a 'Hi' for any occasion, along with a 'So Sorry'. Because its shaped like a suitcase with wheels, it is so easy to manage. I simply rolled it out of my house, pulled the handled down and used the canvas straps to lift into my car. Once I was ready to start crafting, I zippered the front down and pulled out the organizers that I needed. The sides also have compartments for supplies, whether it be sketch drawings, a paper trimmer or other tools. 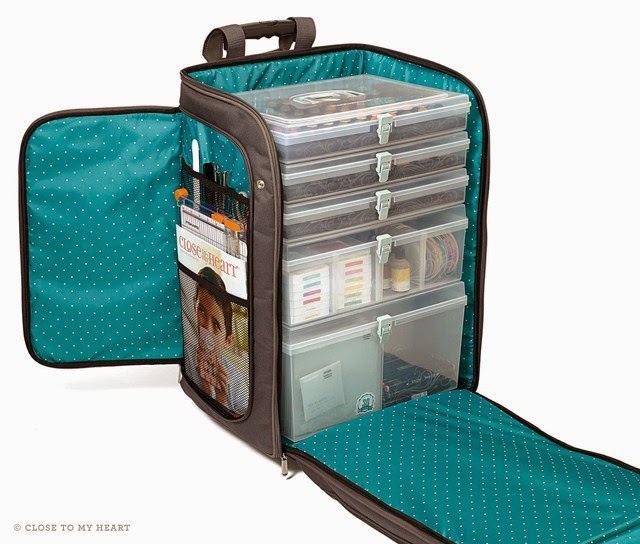 Once everyone saw the new CTMH Rolling Tote, their first question is how can I get one?? Earn one for 1/2 off!! To get one for 1/2 simply hold a CTMH party or on-line party and generate $250 in sales. A party of $250 in sales earns you $40 in free products, plus 1 item 1/2 off! Another way to earn the Rolling Tote 1/2 off is join my Hostess Rewards Club. Please see tab. We'll be raffling one off at our 12-hour crop on April 11th. Shelley wants to win this one!!! We've had over 40 inches of snow in Boston in 7 days! Another storm is here and we'll get an additional 10-15 inches by Tuesday! 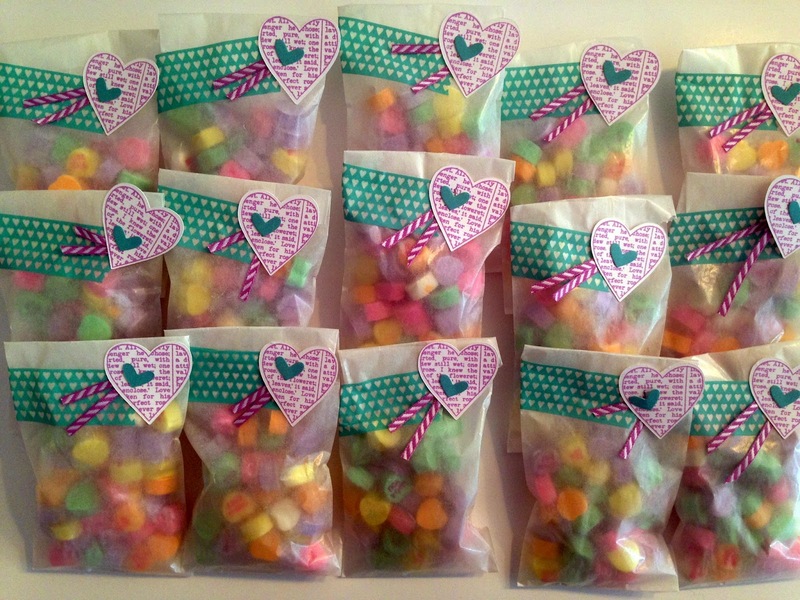 I made the treat bags using glassine wax bags and filled them with candy hearts. CTMH washi tape was used to seal the bags. 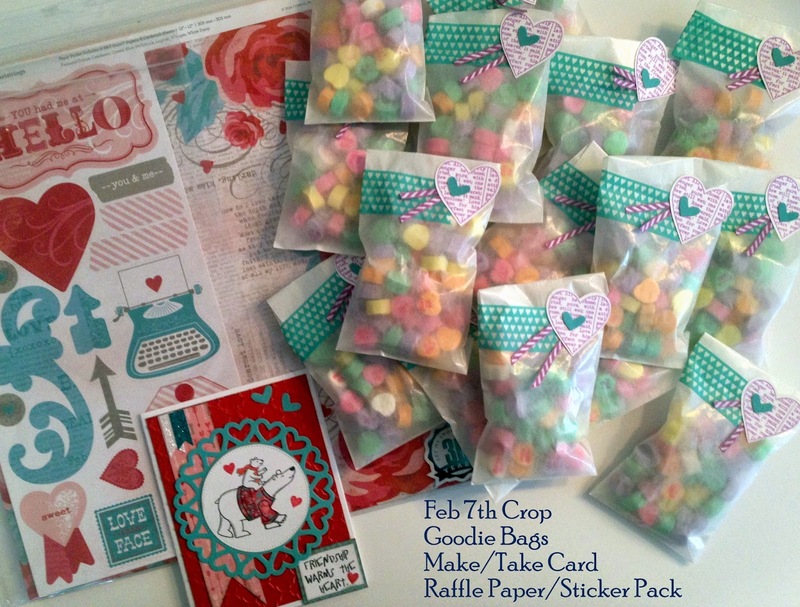 To decorate the bags, I cut out hearts using CTMH's Art Philosophy Cricut Cartridge and stamped it in Thistle ink. Next, I stapled thistle ribbon and covered the staple with a little heart. All in all, a very simple project, but all sooo cute! At the crop, we made a make/take card and raffled off a paper/sticker pack-- CTMH Heartstrings. 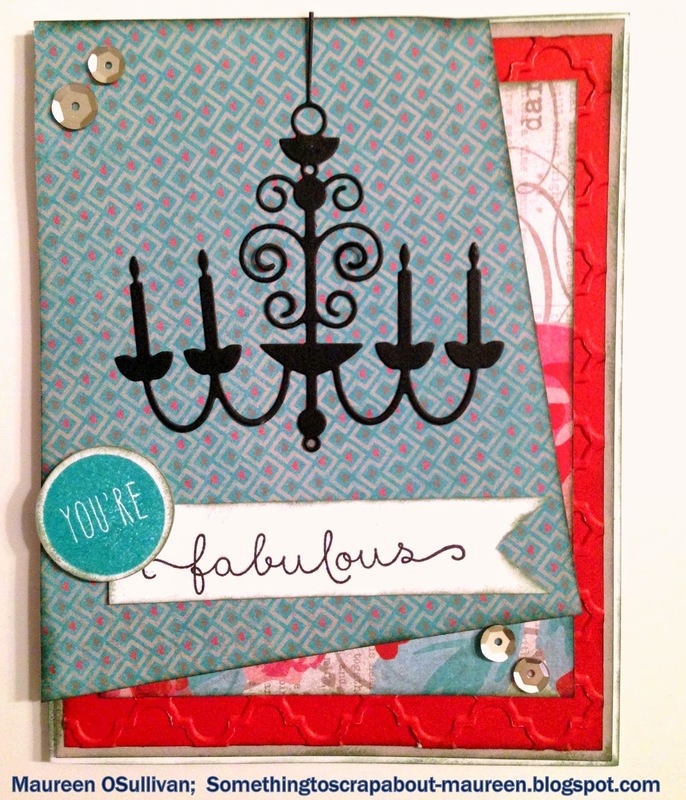 Fellow crafter, Shelley, won the pack. Shelley is sooo lucky. Tune in tomorrow to see what she wants to win next!